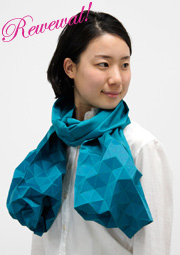 ”Bishiiiiii" Apparently, properly folded stole♪　But, Please touch just for a minute. 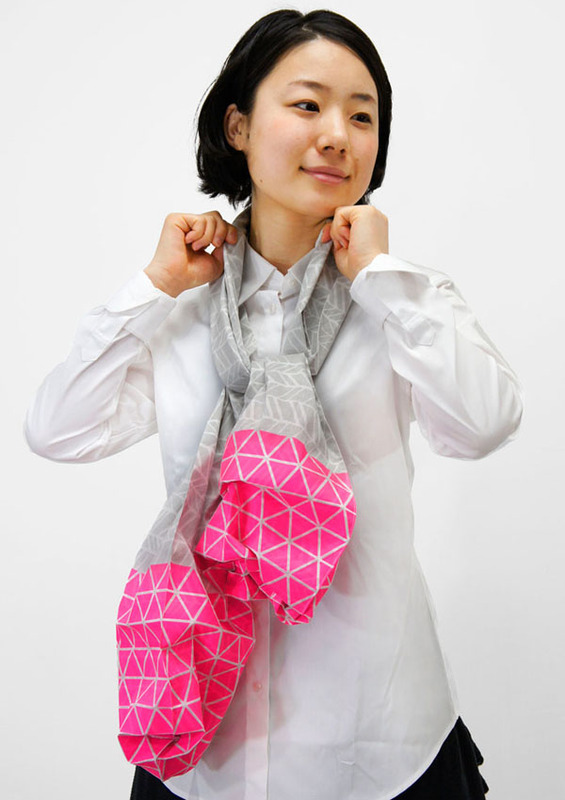 It extends & changes into a wonderful Kaku-Kaku(△▽） form! 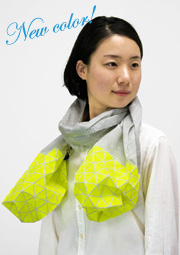 You can enjoy the stole looks like a paper balloon. 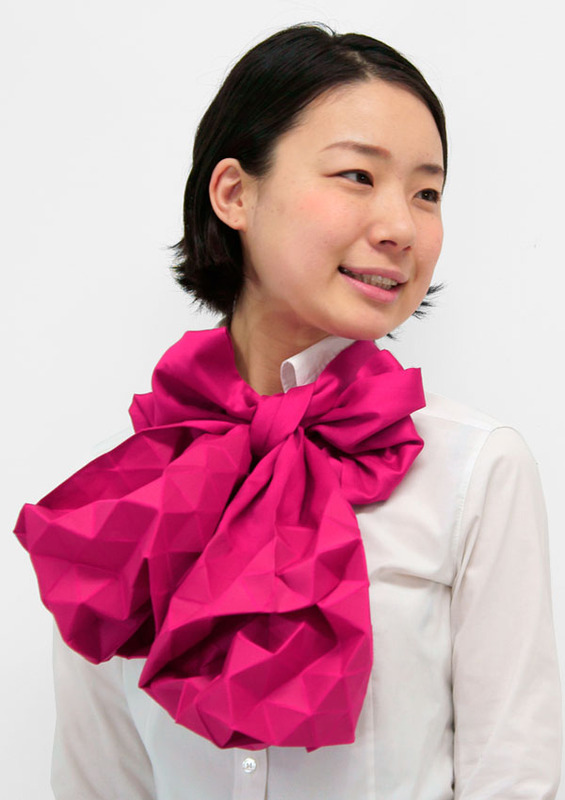 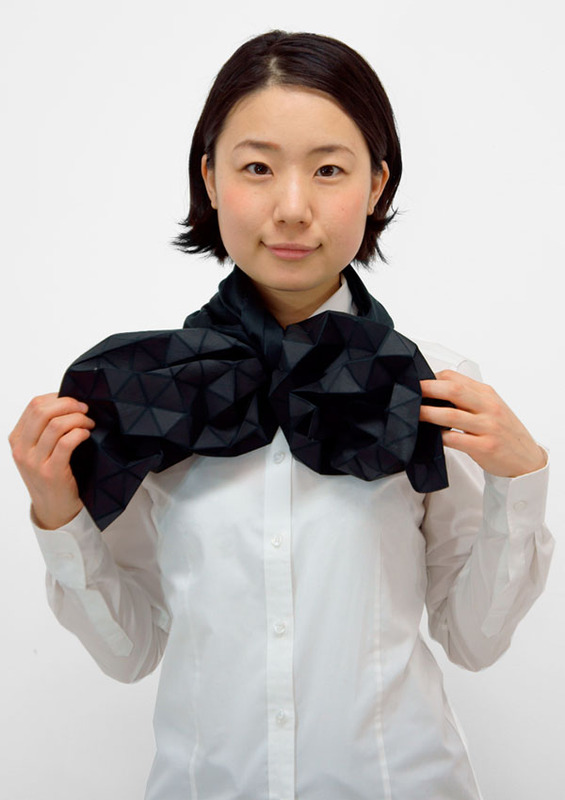 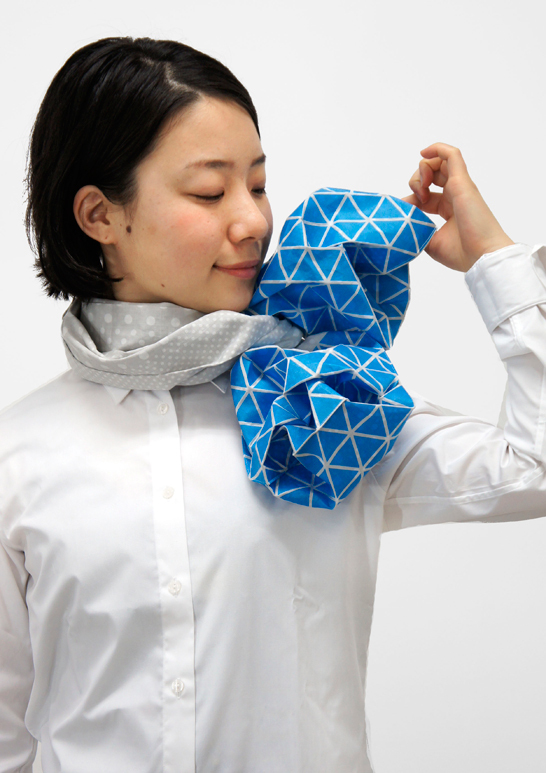 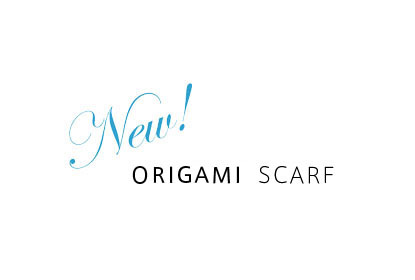 Please open a stole with ”Kaku-Kaku" and fold it with "Bishiiiii"
It bring you playfulness to a usual fashion !? 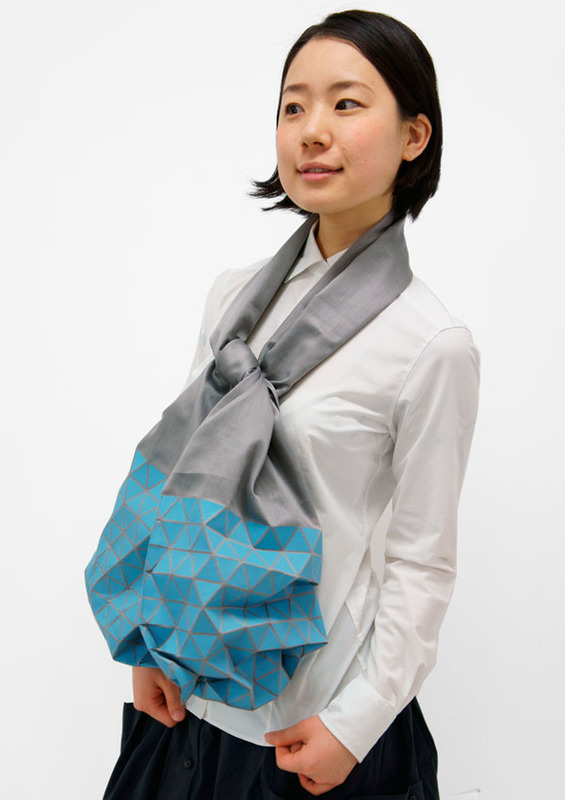 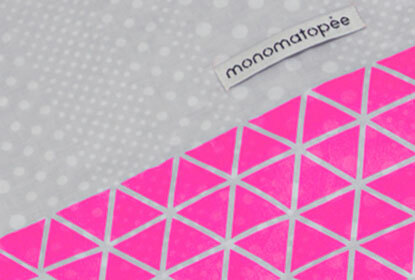 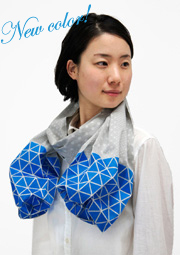 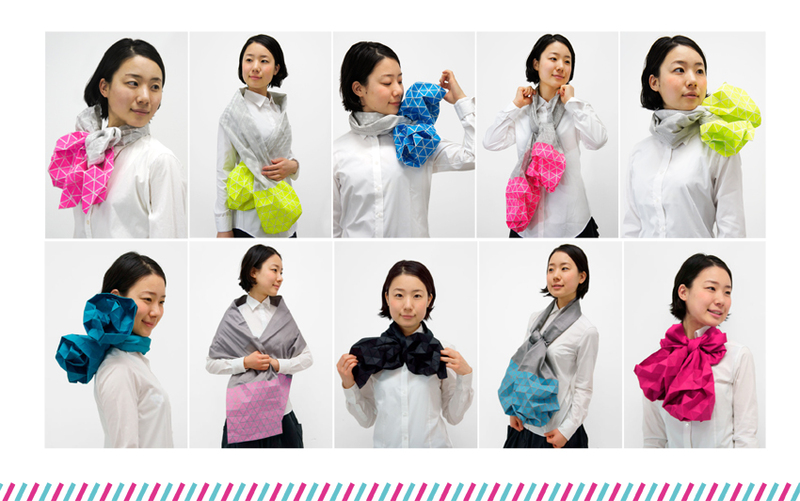 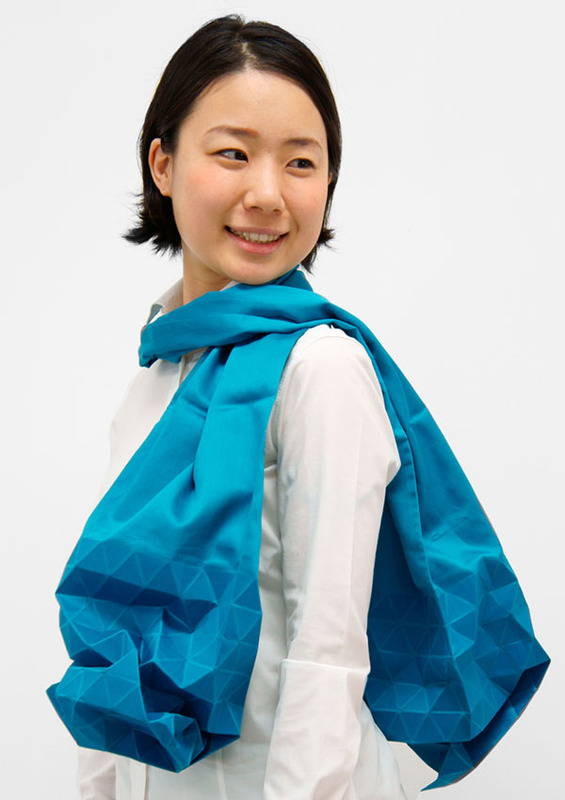 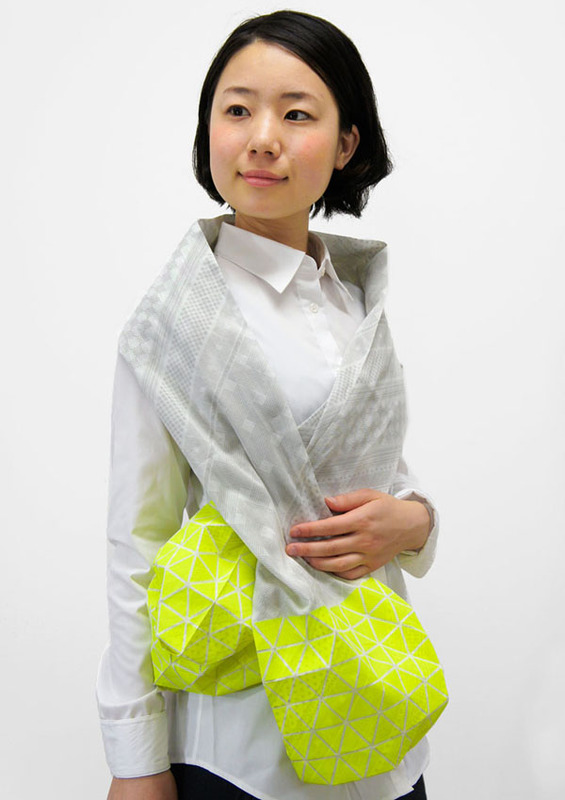 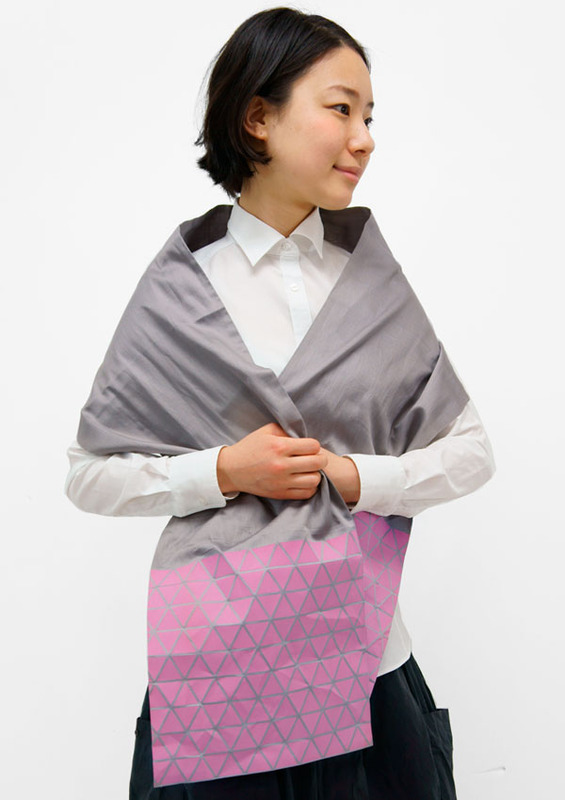 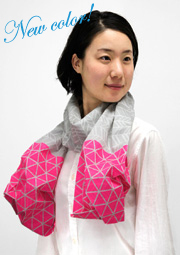 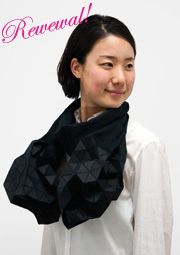 Welcome to the world of "monomatopee"
The stole uses the cotton 100% cloth with the luster feeling. 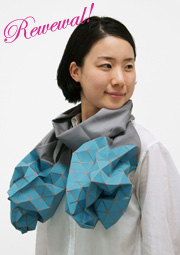 It changes into feeling like "Paper" if it is processed. 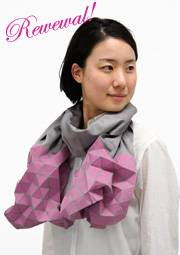 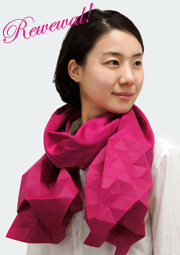 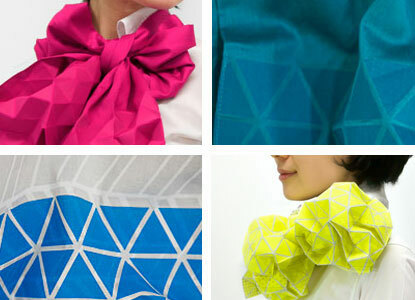 You can enjoy the 3D stole as swelling it like the paper balloon.